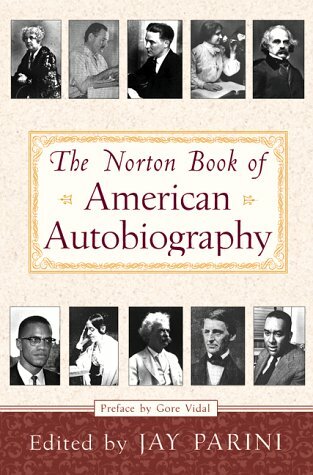 Norton anthologies, well respected and widely used in classrooms and libraries, cover a variety of literary formsApoetry, essays, interviews, and short stories. For Norton’s most recent addition, poet and novelist Parini has compiled over 60 selections from autobiographies and memoirs published since the 17th century. His original manuscript was three times its present size, simply because there was so much to choose from in “a tradition quintessentially American in its forms and performance.” The final result includes works by such diverse writers as Henry David Thoreau, U.S. Grant, Gertrude Stein, Malcom X, Mary McCarthy, and Richard Rodriguez. Among other topics, these excerpts discuss childhood, immigration, spiritual enlightenment, and racial, social, and ethnic issues. The selections are arranged chronologically, and each is prefaced by an introduction on its author and its merit. This well-rounded and enjoyable collection is recommended for both academic and public libraries.